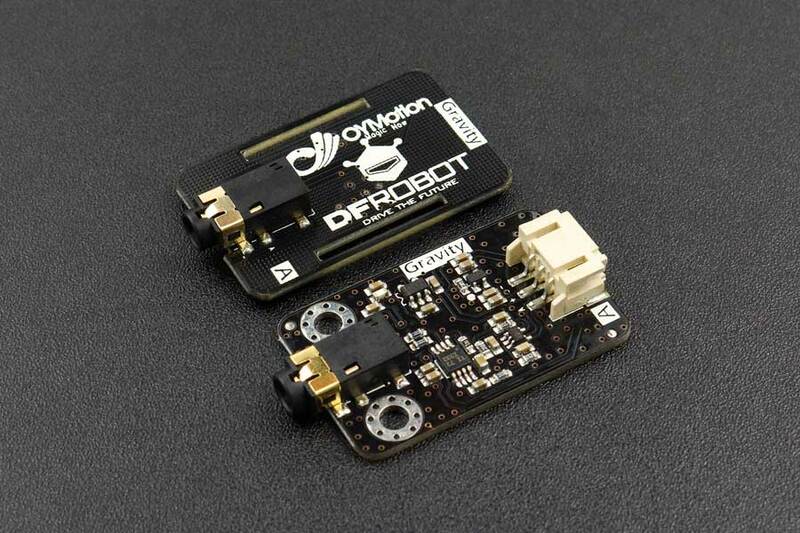 This EMG sensor is launched by the cooperation of DFRobot and OYMotion, which can detect sEMG to reflect muscle and neural activities of human. This sensor integrates filtering circuit and amplified circuit. It amplifies minimal sEMG within ±1.5mV 1000 times and depresses noises (especially power frequency interference) by differential input and analog filter circuit. The output signal is analog，which takes 1.5V as the reference voltage. The output voltage range is 0~3.0V. The signal strength depends on the intensity of muscle activities. The output signal waveform indicates the muscle activity and contributes to analyze and research the sEMG. 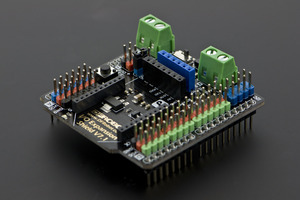 Specifically, we can use Arduino as a controller to detect muscle activities, e.g. check whether the muscle is tense; the muscle strength, etc. This is an active induction sensor can provide high quality signal collection and it is easy to use. 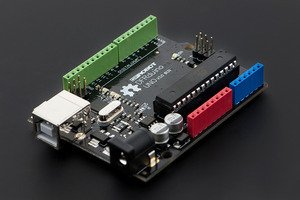 Only simple preparations are needed to apply the module for either static or dynamic areas. Dry electrode is applied to the module and good quality signal are available even without conductive gel. Compared with disposable conductive gel needed by medical electrodes, it is more convenient to use and extend its long-life service. Therefore, it is more suitable for most of users. 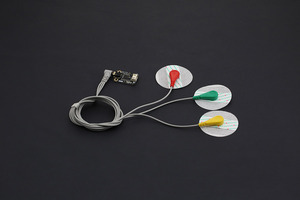 Measurements with an analog EMG sensor are noninvasive, convenient and this can be applied in human-computer interactions. With the development of microcontrollers and integrated electric circuits, EMG circuits and sensors have not been applied to traditional medical muscle detection researches but control systems. 1. The supply voltage range is 3.3~5.5V; The supply current should not be less than 20mA; The ripple current and disturbance current should be as low as possible. Stabilized DC voltage is recommended. 2. The effective spectrum range is 20Hz～500Hz, and the ADC converter which has higher than 8-bit resolution and 1 kHz frequency are recommended to take samples and digitized to keep original information. 3. Placing the metal dry electrode should consistent with the direction of muscle. 4. The product is not a professional medical device and cannot diagnose and cure disease as an assistant device.